Make life extra easy by baking the crostini in advance and keeping them in an airtight container. Warm them in the oven just before assembling. Blitz the smoked salmon and ricotta in a food processor or blender. Wash and finely chop the dill. Add to the ricotta and salmon mixture with a generous grind of black pepper. Whip the cream in another bowl. Carefully fold it into the salmon mixture with a metal spoon. Cover the dish with cling film and refrigerate until needed. Cut shapes from the slices of rye bread with the aid of a pastry cutter approx. 5cm in diameter. Place on a baking tray. Bake in the oven for a few minutes until the bread is slightly toasted. Remove from the oven and let it cool for a few minutes. 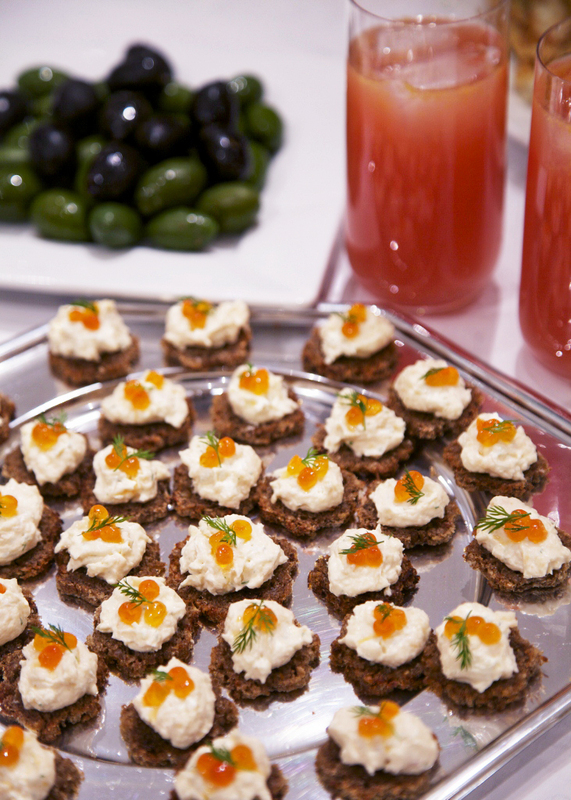 Place a blob of salmon mousse on each crostino and decorate with a small sprig of dill and a little salmon roe.